Three-quarters of the way in to our twenty film challenge and it’s time to start putting things in order, time to start tying up loose ends. Two recurring topics for Dyer Diary have been the flagrant mis-selling of Dyer’s back-catalogue and his run of seventeen flops from 2009 to 2013. Trace both phenomenon back to their source and we find ourselves in the company of the highly lucrative calamity that is City Rats. 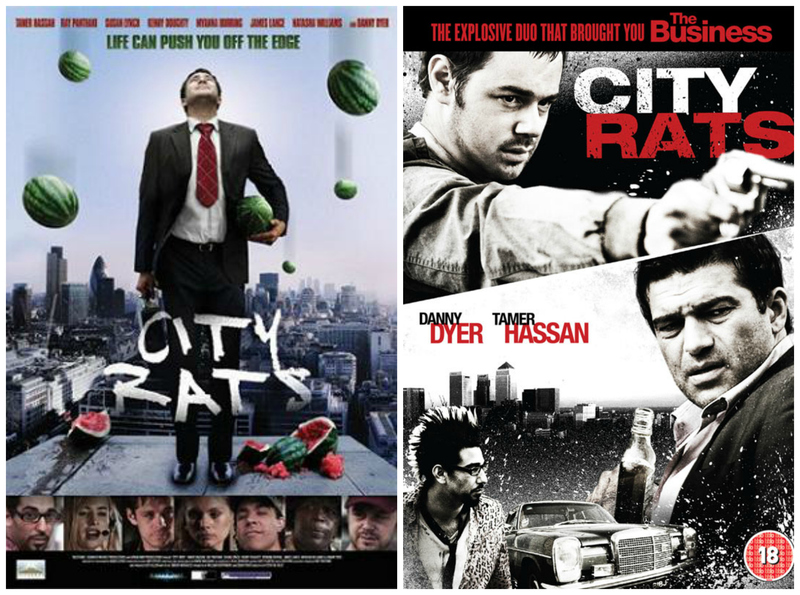 The poster for the brief theatrical release (on the left) projects all the things City Rats wished it was – a quirky, poetic and ultimately uplifting ensemble piece about big city life. The DVD campaign (on the right) took a different tact, selling it as more of the same from Dyer and Hassan, stars of Nick Love’s crime drama The Business. In one respect this cheeky repackaging was a huge success, shifting over 300,000 copies and making it one of the British film industry’s success stories of 2009. It sent out the message to producers everywhere that putting Danny Dyer’s mug on a DVD cover equalled facking ker-ching! Job offers poured in and distributors started snapping up Dyer’s back catalogue to re-package as Love-esque lad-fodder. 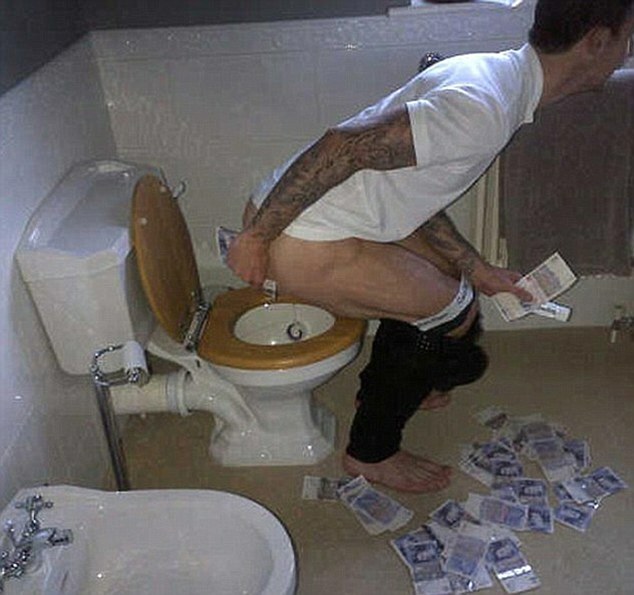 Looking at the bigger picture though, City Rats did untold damage to Dyer’s career and image. The marketing campaign made all sorts of promises which the tedious turd of a movie didn’t come close to keeping and Dyer’s fan-base made it crystal clear that they weren’t impressed. Dyer’s next seventeen films all flopped. In a nutshell: The lives of eight redemption-craving Londoners criss-cross over several days in the least realistic or dramatic way imaginable. I’ve never been a religious man but writing Dyer Diary has taught me is this, watching a film (or consuming any form of popular culture) can be a tortuous experience if you don’t have any faith in the makers’ abilities. I experienced such a crisis when watching Pimp and, to my shame, bailed after about ten minutes. Pulling the same trick twice would have been acutely spineless so I stuck with City Rats (albeit watching it in twenty minute chunks over the course of a working week). Let’s start with some positivity though. The makers of City Rats deserve some credit for attempting to make a complex drama with multiple inter-weaving narrative threads, many of which comprise of unusual relationships. They cover pressing social issues and, unlike several of the films covered by Dyer Diary, they didn’t resort to dealing in racism, sexism and homophobia under a guise of poking fun at ‘political correctness’. Despite some undoubtedly worthy intensions, the high-level of technical proficiency and impressively committed performances from some of the cast, it was clear straight from the off that this would be one of the most gruelling and least rewarding viewing experiences of my life. It was with City Rats in mind that Peter Bradshaw wrote, ‘there really is no film as terrible as a terrible Britfilm’. Well, how about a terrible Britfilm which attempts to solemnly address weighty social issues (prostitution, suicide, alcoholism) with seemingly no understanding of those issues? At all? It’s not just a failure to do any research which ruins this film. There’s precious little conflict and nothing said or done by any of the characters is driven by logic or has any grounding in reality. It’s as if the filmmakers have never experienced any kind of human interaction. And whilst some of the plot-lines are potentially interesting, look closely and you’ll see they’re comprised entirely of tired old cinematic tropes punctuated with frankly laughable dialogue. Carol (Natasha Williams) and Pete (Danny Dyer) in a bit which could have been quite good. How is it for Danny? He’s in one of the more interesting narrative threads but it’s all still hamstrung by the preposterous dialogue and zero narrative logic. It would have taken a career best performance to have pulled himself out of this mire, and he’s a long way off of that. So in summary: City Rats is painful to watch and hopelessly awful. This entry was posted on July 30, 2014 by killblinton in Dyer Diary and tagged City Rats, City Rats (2009), Danny Dyer, Dyer, Dyer Diary, Nick Love, Super Cool Cinema, SuperCool Cinema.